The leasing company is a financial service oriented company provide like of all banking services. It has wide varieties program and clients make the job challenging for the leasing company to keep their satisfied. this study was conducted among “Performance Appraisal of Financial Statement Analysis : A case of Uttara Finance and Investments Limited’’ of all leasing company a case study of Uttara Finance and Investments Limited. Firstly to assess company’s background, financial strength and activities, using the SWOT analysis. The second is to identify the provided service quality dimensions that need to be improved. Thirdly analysis of all financial activities which is contributing financial development of a society more over country. On the country this types of study reveals is very important therefore it is hoped that this study would contribute to the leasing company also leasing sector understanding performance through financial activities as well as contribution of economic development of a country also this sector customer. To give the provided service and of all financial services and activities which is tangible and intangible must be materials with the service, the existing staffs need to have a professional appearance and facilities must be visually appealing. The reliability of most of the leasing company of Bangladesh from the serve-quall point of view is not very good which has created a gap between the expected services and provided services. Uttara Finance and Investments Limited offers all lease finance, term finance, documentary credit and merchant banking service covering was registered as non-banking financial institution under the Financial Institution Act 1993 and the Companies Act 1994 with the license from Bangladesh Bank. Uttara Finance and Investments Limited started its operation as a Public Limited Company. Its authorized capital is 1,000,000,000 and paid up capital Tk. 316,800,000. Uttara Finance and Investments Limited is a top listed leasing company in Bangladesh. It is renowned for its smooth operation and customer care. Its profit growth index is increasing day by day. As all of us know that the economic condition of Bangladesh is not so cheerful. There are so many ways to modernize the national economic condition of Bangladesh. One of the ways is to enlarge the different, integral, and unique business program and shore up the industrial growth of Bangladesh. The most important objective is to support the Government with the development programs in different issues for boosting the national economic growth of Bangladesh. Also we need extensive amount of funds or investments for different businesses. The primary concern of this dissertation is to appraise the overall performance of a company. The report is prepared on UTTARA FINANCE AND INVESTMENTS LTD. (UFIL). Company is a non-banking financial public limited institution. UFIL is a mainly a leasing and financing company. For supporting the analysis, I need to know the basic things of leasing and the major impact of leasing company in Bangladesh. In Bangladesh there are significant numbers of non-banking financial institutions including leasing companies. These types of initiatives have a very imperative impact on overall national economy of a country. Leasing companies plays a major role to develop the domestic business sector in every aspects of company in Bangladesh. The BBA internship/Internship Reportis an important requirement for the students who are post graduating from the school of business of Stamford University, Bangladesh. It is 06 credit hours course with duration of twelve week. Student who have completed all the required courses (at least 36 credit hours ) are eligible for this course. In this Internship Reportprogram, our main target organization Uttara Finance and Investments Limited is a representative of all leasing company. Leasing company play vital role in country financial sector so performance appraisal through financial statement analysis is very important matter of our financial sector development and up gradation. This is the main theme and origin of the report. Uttara Finance and Investments Limited ( UFIL ), is a joint venture leasing and financing company, was registered as non-banking financial institution under the Financial Institution Act 1993 and the Companies Act 1994 with the license from Bangladesh Bank to operate and transact all kinds of businesses as provided under the relevant laws. The company was authorized to commence business in Bangladesh as per Certificate of Commencement dated 08 August 1995. The company had an authorized capital of 2.5 million shares with the value of Tk. 100 each and had a paid up capital of 1.32 million ordinary shares each at the rate of Tk. 100. Those made the total of authorize capital of Tk. 250 million and paid up capital of Tk. 132 million. The company received license from Bangladesh Bank on 07 September 1995. The company started commercial operation on 01 November 1995. Firstly, they provide fund to those fixed earning group of people who cannot able to afford certain deluxe household product for better life style. Secondly, the Directors of UFIL are enthusiastic to guarantee that the company runs lenient only on professional basis. The company is liberated of providing lease finance to any types of machineries, equipments, and commercial vehicles as per lessee’s choice. Therefore, plenty of vehicles leased by UFIL have been seen especially on the urban roads. This is a momentous notice of UFIL’ contribution for developing the urban transportation business in Bangladesh. Recently, World bank give top importance on the development of urban transportation system of Bangladesh, therefore, they take an initiative to improve the urban transport system. Board of Directors is the main organizational part of UFIL. There are eight individual persons in the Board of Directors of UFIL and Chairman is the leasing person of Board of Directors. The Board of Directors of the Company consists of persons with long experience in running different business pursuits including leasing and financing activities. The Directors have successfully provided their ability in providing service to the people in the areas of leasing and financial facilities. UFIL emerged as a success story for leasing and financing Company in Bangladesh in the recent past. The qualification of a Director of the Company shall be the holding in his own name-unencumbered shares in the company of the nominal value of not less than Tk. 1,000,000/- (One million). A director may, however, act before acquiring the qualification shares, but shall in any case acquire the qualification shares, within two month from the date of his/her election and/ or appointment. So the election procedure of all the Directors of UFIL is dependent on his/her share. Most of the Directors are nominee of several companies. They act as Alternative Director under the Subject to Selection 101 of the Companies Act 1994. The Directors to retire by rotation every year shall be those who have been longest in office since their last election, but as between persons who become directors on the same day those who are to retire shall, unless they otherwise agree among themselves. A director retiring by rotation shall be eligible for re-nomination/ re-election by the respective group of shareholders. Category of Shareholders (%) Tk. 01. IDLC of Bangladesh Ltd.
02. United Leasing Co. Ltd.
04. First Lease International Ltd.
05. People’s Leasing Co. Ltd.
08. Islamic Finance & Investments Ltd.
09. Fareast Leasing Company Ltd.
10. Oman Bangladesh Leasing & Finance Co. Ltd. The top of the management position in organizational structure of UFIL is Managing Director. The Board of Directors appoints the Managing Director of the company. The Managing Director shall be the ex-officer member of the Board of Director. Board of Directors selects the management level executives. They recruit the person who is well experienced, knowledgeable, efficient, and last but not in the list is to have enough capability to make immediate decisions. In UFIL, all the executives are professional, smart, highly qualified, and well skilled. All of them are proficient to make a suitable and steadfast decision in any type of situation. The company recruits the executives, who have the experienced to work in financial or leasing institution. The other employee of UFIL is very highly qualified, well skilled as well. The management recruits some personnel from the trainees and internee, who work as probationary officer. Experienced person who has knowledge similar level also be recruited. They are very much cooperative, highly determinant, and well trained. Therefore, UFIL, now a day, is one of the largest leasing companies. UFIL has Senior Principal Officer, Principal Officer, Officer, and Assistant Officer. All of them are smart, Expert, Experienced, Proficient of hard working, and knowledgeable. The operational department is the part and parcel of functional department. This department maintains the direct relation with clients. The necessary papers are collected from clients for sanctioning loan. The operational and monitoring department is interrelated with each other. The activities of the operational are followed up by monitoring department. Monitoring department also repossess the leased asset if the lessee unable to pay the regular monthly rental and also take legal initiatives. Accounting Department deals with the daily expenditures by maintaining the petty cash book. Accounting department also maintain the bank related activities. The price of the leased asset is paid to the supplier by Accounting Department. • UFIL has an excellent teamwork-spirit. A moderate and up-to-date is engaged to run the activities of UFIL. The workforce of UFIL always tries to be an outstanding company. • Quality service is the main mission of UFIL. The company always tries to give proper service to its clients. Aftermath steady growth of the company can be ensured. • By the proper utilization of idle money UFIL plays a vital role to being about a qualitative improvement in the life style of our people. • To provide lease finance to professionals and technicians on attractive terms and condition. • To encourage continuous technological development and creation of employment opportunities. • To ensure human resources development to meet the challenges of them. • To be in the top list among the existing leasing companies by providing lease financing and related services. • To provide the lease financing to independently supervised and managed public enterprise. • To be an ideal choice to the customers for imminent and personalizing service. • To be the first choice for cutting frame technology, personalized solutions for business needs. • To assist in balancing, modernizing, replacing and developing of existing enterprise. • To expand financial support to small and medium ranges of enterprise. • To earn a steady rate of return for shareholders of the company. • To provide finance for various agriculture equipment. • To support the health sector of the country by financing the hospitals to acquire the highly advanced and modernized medical equipment. • To actively support the industrialization of the country regular with the development program of the Government. • To assist in the modernization of transportation sector. UFIL are providing lease finance in the various sectors of business. In the process, they provide finance to their customers for a certain period of time to procure the equipments they needed. The customer is eligible to pay a predetermined rental every month for the agreed period. The rental is settled based on the existing rate that UFIL offers, and the rate may vary based on the period. UFIL is engaged in providing lease financing for various types of assets. Lease business covers in major area of operation with the objective to provide the benefits of assets based facilities. With the objective to improve the life standards of the people of our country UFIL has the policy of providing lease financing for household durables with straightforward and clear terms and condition. The client is to decide the leased asset, manufacturer or supplier of that asset, and last but most important is price of asset. The leased asset price has to be competitive and adequate to UFIL. After deciding the conditions and terms of lease financing, the client then, need to apply, in the approved application form, formally along with service charge payable to UFIL. Lease proposal have to get approval from the Management Committee. Hence, the application letter will be disseminated to meet the higher authority opinion poll. A note, which is summarizing the pertinent information, is prepared to approve at the MC meeting or EC meeting. If the committee approves the lease proposal, the client needs the sanction letter. The client ought to sign the agreement within 10 days from the date of sanctioning the letter. Before issuing the purchase order/opening L/C, the client is required to give a list of documents, papers, and cheque to UFIL. A list of information and documents should be submitted with the lease application. An agreement will be signed between UFIL and lessee after sanctioning the lease amount. Lease rentals, Lease deposit, Interest during Construction Period (IDCP), Delinquent Charges etc. will be clearly stated in the lease agreement. The lease agreement is prepared in the basis of the acquisition cost of the lease asset, and UFIL will be obliged to purchase the lease asset for that specified leased asset that cannot be cancelled. The agreement also reserves the condition on the subject of the renewal of this lease agreement, or returning the lease asset to the lesser. The lessee have to make deposit, which is equivalent to two months rental, to UFIL as lease deposit at the signing, the agreement and that will be refunded to lessee at the expiry time of lease term. UFIL must place a purchase order to the supplier, after completing the lease agreement procedure, and pay out the full costs according to the agreement. If supplied pay tax then UFIL does not reduce the tax, if not, UFIL collects tax from the supplier. When supplier agrees to sell the asset, UFIL made the full disbursement to the supplier. At first lessee select the payment term at his/her convenience. Afterward, UFIL make out the factor rate; next, multiply the factor rate the acquisition cost that is lease rental of the lessee. Lease Rental = Acquisition Cost × Factor Rate. The lessee must pay the rental within a specific date in a month that is fixed by UFIL: 5th, 15th, 25th date of a month. When lessee completes all the commitment to the company, at the time UFIL transfers the leased asset to the lessee. To do this, UFIL charge 1% of acquisition cost as transfer cost. UFIL also provide temporary finance or term finance to its clients. There are two types of term finance: (1) Short-term Finance and, (2) long-term Finance. The repayment process of short-term finance may be quarterly or at a time basis and, long-term finance may possibly be monthly rentals as like as lease finance. The rate of repayment is determined by following the present the present of value of future amount method. Asset related finances are provided for a fixed term. Other practices are same as lease finance. The client is provided with a finance amount against his/her existing documents in the documentary credit procedure. The document can be Term Deposit Receipt (TDR) / Promissory Notes. The client receives 9.50% for one year, 9.75% for two years and 10% for three years on the basis of the document. The rest is the business of UFIL upon accrual of the document. For investment on TDR, Promissory Notes is minimum (one) Lac. In March 1998, UFIL has get license of merchant banking. There are two types of investment account in merchant banking unit in UFIL: (1) Uttara Finance and Investments Ltd’s Discretionary, and (2) Investor’s Choice. In first account, shares will be purchased on behalf of the investors at the sole discretion of UFIL and will also be deposited. At the time of disposal if the shares are lost, UFIL will not be responsible for the concern. In the other account, the shares will be purchased on behalf of investors as per instruction of the investor (s), and will also disposed of accordingly at his/her own risk and responsibility. Any two Bangladeshi national and Non Residence Bangladeshi (NRB), having minimum age of 18 years and resonance mind may open and investment account with minimum deposit of Tk. 50,000/- The investor can get loan facility against their investment account. They may receive maximum Tk.1.00 million with interest rate @13% interest loan facility. An investor should also pay some fees and commission, for instance, Documentation fees, Brokerage. The firm acts as intermediaries between the company issuing shares and the person willing to invest and in the process earn some commission from both the parties. The company provides its services to its customers by preparing and managing a portfolio for their investment, minimizing their risks to the lowest level. Bridge financing is a short-term finance in anticipation of immediate long term financing such as loan against public issue, private placement, loan syndication, etc. The program of bright financing involves UFIL to provide credit to a potential company, which is interested in floated shares. In this case UFIL will provide loan in a condition where the company would subscribe its shares through UFIL and in turn they will recover the loans from the company. Facilities through syndication involve sanction of term loans where the loans are divided among more than one financial institution. The process of syndication starts with a financial institution facing a credit demand, which is in excess of its legal credit limit. In that case financial institution or who are authorized of providing finance to give away the loans. Large financial institutions striving for the reserve fund may sell some portion of term and other loans. This also falls under the syndication service. Sometimes the financial institutions prefer to from syndicate to give away the loans, because it improves their credit diversification. The concept of investment in capital market involves investor’s account collection of funds from the individual investor and then invested in stock of different companies. The whole process goes through construction and management of a portfolio. From the time when UFIL is not entitled to accept the public deposit, it tries to make sure the accessibility of fund from outside sources to meet the operational activities. Its main objective is to minimize the cost of fund. The short- term loan of UFIL is the call loan from money market. The major advantage of call loan is that fund can be arranged in a very short period of time and the source is cheaper than other sources. o The City Bank Ltd.
o Mutual Trust Bank Ltd.
o National Credit and Commerce Bank Ltd.
o Bangladesh Commerce Bank Ltd.
o Islamic Bank Bangladesh Ltd.
o First Security Bank Ltd.
o Dutch Bangla Bank Ltd. o Prime Bank Ltd.
o Janata Bank Ltd . The company receives monthly rentals in every 5th, 15th, 25th date of month. This is another source of fund from which the company collects a vast amount of finance. In 2005, the total rental income was Tk.45.22 million. The management has been very careful regarding their exposure to various sectors of investment. The higher exposure to transport sector has been brought down considerably during the year under review and investment has increased in the important substitution industries, small and medium enterprises, and export-oriented industries and in the real estate sector. UFIL has therefore effectively diversified to a number of sectors essential for national growth. An extensive amount of investment is invested in vehicle sector, which is 39% of total investment portfolio, then import substitution (27%). But in agriculture sector UFIL invests only 1% of total investment in the year 2005. In export-oriented sector it invests 10% of total investment. This is the percentage of diversification of investment portfolio in different sectors in the year 2006. In accordance with the government’s policy of restoring the environment of Dhaka city by eradicating two stroke three wheeler and encouraging more and more environment friendly vehicles, UFIL is encouraging and supporting the issue by accepting and the application loan from the taxi cab companies. Many of the taxicab companies, now running in the city road, are the clients of UFIL. Not only the taxicab companies many of the transport companies providing long route transport facilities to general public has lease agreement with UFIL. They are also showing their responsiveness to the society with a view in mind to make Dhaka a better place to live in. UFIL is one of major investor in syndication of the Nandan Park Project. Bangladesh is an agro-based country. Since, UFIL believes and knows that the development of our country is mostly depending on agriculture. Therefore, UFIL have a superiority policy of sanctioning lease finance in agricultural sectors for advancing it. It helps the agricultural sector of Bangladesh by providing easy loan on agricultural tractors. Therefore, they also take part of conferring the service in rural area of the company. UFIL is also helping the educated, highly determined and hard working people by financing them. UFIL encourages them, through financing, to involve in development of the industrial sector of the country. UFIL is also helping the educated, highly determined and hard working people by financing them. UFIL encourages them, through financing, to involve in development of the country will be diminishing and the economy of the country will be improved as well. UFIL also finances the vast projects of industrial sector of the country; they do this in the course of syndication with other major leasing companies. UFIL are also approving the loan application of different hospitals. UFIL appreciates the loan for procuring the highly sophisticated and modernized medical equipments that can improve the quality of services and actions of the hospitals. So, for this reason, it can help to make a momentous mark in health sector of Bangladesh as well. These are the major common activities of UFIL that can make a great mark in the development of the economy of the country as well as the social development. These are basic steps use when evaluating company financial statement analysis cases as prepare a project report. • This is not meant to be an exhaustive list; there are other steps that can be followed to get deeper into the meaning of the numbers. • Report cannot analyze the numbers in a vacuum. The numbers only provide indicators to trigger further questions in your mind. • In order to do a thorough job, must understand something about the company’s business and strategies, and its industry. Financial indicators vary from industry to industry; the ratios can only be interpreted when compared and contrasted with other companies in that industry. For example, financial indicators are (and should be) different among financial institutions, manufacturing companies, companies that provide services, and technology and computer information and services companies. • Financial analysis is something of an art. Experienced managers, investors and analysts develop a data bank of information over time, and after doing many such analyses, that they bring to bear every time they review a company. Step -01. Acquire the company’s financial statements for several years. These may be found in assigned case study; in a recent annual report; in the company’s. As a minimum, get the following statements, for at least 3 to 5 years. Step – 02. Quickly scan all of the statements to look for large movements in specific items from one year to the next. For example, did revenues have a big jump, or a big fall, from one particular year to the next? Did total or fixed assets grow or fall? If find anything that looks very suspicious, research the information about the company to find out why. For example, did the company purchase a new division, or sell off part of its operations, that year? Step – 03. Review the notes accompanying the financial statements for additional information that may be significant to analysis. Step – 04. Examine the balance sheet. Look for large changes in the overall components of the company’s assets, liabilities or equity. For example, have fixed assets grown rapidly in one or two years, due to acquisitions or new facilities? Has the proportion of debt grown rapidly, to reflect a new financing strategy? If you find anything that looks very suspicious, research the information about the company to find out why. Step – 05. Examine the income statement. Look for trends over time. Calculate and graph the growth of the following entries over the past several years. Are the revenues and profits growing over time? Are they moving in a smooth and consistent fashion, or erratically up and down? Investors value predictability, and prefer more consistent movements to large swings. For each of the key expense components on the income statement, calculate it as a percentage of sales for each year. For example, calculate the percent of cost of goods sold over sales, general and administrative expenses over sales, and research and development over sales. Look for favorable or unfavorable trends. For example, rising G&A expenses as a percent of sales could mean lavish spending. Also, determine whether the spending trends support the company’s strategies. For example, increased emphasis on new products and innovation will probably be reflected by an increased proportion of spending on research and development. Step – 07. Examine the cash flow statement, which gives information about the cash inflows and outflows from operations, financing, and investing. While the income statement provides information about both cash and non-cash items, the cash flow statement attempts to reconstruct that information to make it clear how cash is obtained and used by the business, since that is what investors and creditors really care about. If find anything that looks very suspicious, research the information about the company to find out why. Step – 08. Calculate financial ratios in each of the following categories, for each year. May use the formulas found in your textbook or other materials you have from your finance and accounting courses? A summary of some useful ratios appears at the end of this document. Graph the ratios over time, to find the trends in the ratios from year to year. Are they going up or down? Is that favorable or unfavorable? This should trigger further questions in mind, and help to look for the underlying reasons. Step – 09. Obtain data for the company’s key competitors, and data about the industry. For competitor companies, can get the data and calculate the ratios in the same way for the company being studied. Compare the ratios for the competitors and the industry to the company being studied. Is the company favorable in comparison? Do have enough information to determine why or why not? Step – 10. Review the market data about the company’s stock price, and the price to earnings (P/E) ratio. Try to research and understand the movements in the stock price and P/E over time. Determine in own mind whether the stock market is reacting favorably to the company’s results and its strategies for doing business in the future. Step – 11. Review the dividend payout. Graph the payout over several years. Determine whether the company’s dividend policies are supporting their strategies. For example, if the company is attempting to grow, are they retaining and reinvesting their earnings rather than distributing them to investors through dividends? Based on your research into the industry, are convinced that the company has sufficient opportunities for profitable reinvestment and growth, or should they be distributing more to the owners in the form of dividends? Viewed another way, can learn anything about their long-term strategies from the way they pay dividends? The particular services that each leasing company and each non-financial firm chooses to offer and the overall size of each financial service organization are reflected in its financial statements. Financial statements are literally a “ road map ’’telling us where leasing companies or other financial firm has been in the past where it is now and , perhaps , where it is heated in the future. In addition we will explore briefly the makeup of two other key financial statements that credit analysts and manager often use to assess changes in a financial institution like leasing Co. fund using and funds raising activities the know as funds flows statements and the statement of stockholders equity finally we examine some of the similarities and some of the differences between bank financial statements and non banks financial firms that are closest competitors. While the balance sheet income statement and other financial reports of leasing companies are unique the financial statement of bank firms and non bank firms have in recent years come for closer and closer to what we normally see on financial statement of leasing company. By carefully reading the financial statements analysis of leasing company and their competitors. We learn more about services these institutions provide and how their financial condition changes with time. These financial statements when accurately prepared provide indispensable, information to manager’s owners creditors and regulators of financial institutions and other financial services providers some financial institutions engage in “window dressing” and other forms of data manipulation, which can send misleading information to their shareholders creditors customers and the regulatory community sometimes resulting in serious damage. From the very inception lease finance sector in Bangladesh had been a profitable organization and the pace has been accelerated since becoming a publicly listed company in 1982. The support of the clientele, dedicated leadership provided by the sponsors and sincere and motivated work of the Management team in this sector have all combined for the profitable result. The lease company Management has been very careful regarding their exposure to various sectors of investments and finance. The exposure sectors are industries, transport, agriculture, small and medium industries, import substitution industries, export oriented industries, real estate sector etc. This outline discusses how the myriad of information presented in the financial statements is used to facilitate decision making by the managers, investors, regulators, competitors, banks, and other interested groups. 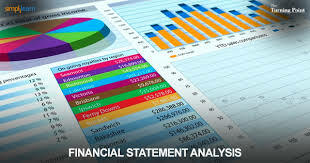 The analysis is performed chiefly by summarizing the financial statement information into ratios. The outline will assist you in getting a general understanding of the financial statements and identifying some of the key ratios. 03. Importance of Financial Statements. Financial statement analysis involves analyzing the firm’s financial statements to extract information that can facilitate decision-making. For example, an analysis of the financial statement can reveal whether the firm will be able to meet its long-term debt commitment, whether the firm is financially distressed, whether the company is using its physical assets efficiently, whether the firm has an optimal financing mix, whether the firm is generating adequate return for its shareholders, whether the firm can sustain its competitive advantage etc; While the information used is historical, the intent is clearly to arrive at recommendations and forecasts for the future rather than provide a “picture of the past”. The performance of a firm can be assessed by computing key ratios and analyzing: (a) How is the firm performing relative to the industry? (b) How is the firm performing relative to the leading firms in their industry? (c) How does the current year performance compare to the previous year(s)? (d) What are the variables driving the key ratios? (e) What are the linkages among the ratios? (f) What do the ratios reveal about the future prospects of the firm for various stakeholders such as shareholders, bondholders, employees, customers etc.? Merely presenting a series of graphs and figures will be a futile exercise. We need to put the information in a proper context by clearly identifying the purpose of our analysis and identifying the key data driving our analysis. Limitations of Income Statement: In finance, the focus is on “valuation” that requires knowledge of expected cash flows rather than historical earnings. Note net income does not equal the actual cash flow. This is because the income statement reports revenue/expenses when they are earned/ accrued and not when actual cash is received. Further, several items are subjectively determined (ex. depreciation). Also, depreciation is based on historical cost of the asset. Thus, during periods of inflation, depreciation expense will be understated as it is based on historical cost while the revenues reflect the current market price…. such non-synchronization leads to inflated earnings. Furthermore, a traditional income statement only records transactions and not “opportunities”. As Block, Hirt, and Short (1998, pp. 34) note, “The economist defines income as the change in real worth that occurs between the beginning and the end of a specified time period. To the economist, an increase in the value of a firm’s land as a result of a new airport being built on an adjacent property is an increase in the real worth of the firm. It, therefore, represents income. The accountant does not ordinarily employ such a broad definition of income”. B3. Statement of Retained Earnings (also known as the Statement of changes in shareholder’s equity, statement of shareholders’ investment or statement of changes in shareholders’ equity): It shows the balance in retained earnings after making adjustments for current profits and current dividend. It also shows information on treasury stock, any new shares issued, and the impact of exercised options, preferred stock details and additional paid-in-capital. B4. Cash Flow Statement: It shows how the company obtained cash and for what purpose they were used. Thus cash balance at the end = Cash in the beginning + Net Cash flow from operating (income statement cash items) + Net Cash flow from financing (ex. proceeds from sale of bonds, repayment of loan, payment of dividends) + Net Cash flow from investing activities (ex. Sale/purchase of asset). As the Enron fiasco has brought to light, there is plenty wrong with the way financial results are reported. Congressional committees will determine how much of Enron’s troubles were due to criminal activity, and how much due to poor judgment and loopholes. But “managing results” is an old game on Wall Street. The pros know how to read between the lines to identify shaky financials. They read the footnotes to the financial statements carefully for clues that will tell them how aggressively the company is pushing to use legal, but misleading GAAP, rules to their limit. So here is a list of things to look for in financial statements that will tell you as much or more about the company than the actual reported results. First, Wall Street is not your friend. Making money in a stock market that is trading flat is a zero sum game. For you to profit, someone else must lose. Be skeptical and very careful where you get your investment advice. Question the motives of so-called experts. As of yet, there are no rules ensuring that they disclose their conflicts of interest. Proforma Earnings Announcements – Many companies now issue Proforma Earnings Statements that exclude certain expense items as being “extraordinary”. It is now a normal part of business for many firms, particularly tech firms. The trouble is that there are no standards for reporting Proforma Statements, leaving the door open to manipulating earnings and misleading investors. Outgoing SEC Chief Economist Lynn Turner says pro forma earnings are effectively “EBS” earnings–“Everything but the Bad Stuff.” A study that compares the unaudited Proforma Earnings Statements to the NASDAQ 100 companies with the audited statements they filed with the SEC shows a huge $101 billion difference for the first three quarters of 2001. Frequent Restructuring Charges and Write-Downs – As businesses adjust their internal structure, they incur costs for shutting down one activity and starting another. In a small company, charges for these activities would occur infrequently, but in a large company, they will be routine. If charges and write downs for restructurings occur regularly, the company may be classifying normal business expenses as extraordinary to create the illusion that the core business is more profitable than it really is. Reserve reversals – Companies generally establish reserves to cover the costs of restructuring. Reserves allow management to “store profits” for later use if the reserves are unusually large. At a later time, they can reverse the reserve for the amount that was not spent and it flows directly to the bottom line. Pension Funds – are great sources of earnings manipulation. Boost earnings by under funding them or by overestimating the investment return of the fund so that current payments will be lower and profits higher. If the fund does particularly well, pull the excess back into the income statement to boost profits. Footnotes to Financial Statements – Statements can mislead and evade but they must come clean in the footnotes or face criminal charges. That’s why the pros look here first. You will learn about risk exposure, debt that changes character under certain conditions, the use of aggressive accounting practices and all sorts of other details that management would like to avoid telling you. Sales/Non-Sales – Look at the revenue and receivable numbers over several years. Is the ratio of receivables to sales increasing? If yes, then the company is shipping goods faster than customers are paying for them. Are deferred revenues dropping? If so, the company is living off last year’s sales. In the current slowdown, customers look to change sales terms to use the supplier’s money as much as possible by acknowledging the sale as late as possible. Cash Flow is King – The pros know that it is too easy to manipulate earnings numbers. So they focus on cash flow as being a more reliable indicator of performance because the cash is either there or it isn’t. One expert thinks a comparison of cash flow vs. non-cash revenue could have been an early tip of to Enron investors. Goodwill – Companies account for the premium over book value that they pay for an acquired company as goodwill. Under the older accounting rules, companies could write down the payment for goodwill with a charge against earnings spread out over decades. First Call estimates that, because of the goodwill accounting change, analyst forecasts for 2002 are about three percentage points too high. As companies restate prior year earnings to account for the change, earnings will shrink. Employee Stock Options – 78% of companies with sales over $10 billion compensate management with stock options. Yet accounting rules do not require the issuing of the option to be accounted for with an expense. In the wake of Enron, this controversial and questionable rule may be changed. If so, one expert estimates that many large tech companies may see an annual reduction in earnings of 1/3. A popular way to analyze the financial statements is by computing ratios. A ratio is a relationship between two numbers, e.g. ratio of A: B = 30:10==> A is 3 times B. A ratio by itself may have no meaning. Hence, a given ratio is compared to (a) ratios from previous years – internal trends, or (b) ratios of other firms in the same industry – external trends. Ratios are more of a diagnostic tool that helps us to identify problem areas and opportunities within a company. In this section, we will discuss how to measure and interpret some key ratios. Obviously, since ratio is simply a comparison of two variables, the possibilities for number of ratios are endless! There is no “one” way of classifying various ratios so you may find different groupings depending on what text or article you read. Also, there are no specific rules on what is an “ideal or acceptable” number for a ratio, although there are some rules of thumb. The key ratios that are determined by the financial analysts provide insights on (a) liquidity (b) degree of financial leverage or debt (c) profitability (d) efficiency and (e) value. Liquid assets are those assets that can be converted into cash quickly. The short-term liquidity ratios show the firm’s ability to meet short-term obligations. Thus a higher ratio (#1 and #2) would indicate a greater liquidity and lower risk for short-term lenders. The Rule of Thumb (for acceptable values): Current Ratio (2:1), Quick Ratio (1:1) While high liquidity means that the company will not default on its short-term obligations, note that by retaining assets as cash, valuable investment opportunities might be lost. Obviously, Cash by itself does not generate any return … only if it is invested will we get future return. In quick ratio, we subtract the inventories from total current assets since they are the least liquid (among the current assets). These ratios show the extent to which a firm is relying on debt to finance its investments/operations and how well it can manage the debt obligation (i.e. repayment of principal and periodic interest). Obviously, if the company is unable to repay its debt or make timely payments of interest, it will be forced into bankruptcy. On the positive side, use of debt is beneficial as it provides valuable tax benefits to the firm. Note total debt should include both short-term debt (bank advances + current portion of long-term debt) and long-term debt (such as bonds, leases, and notes payable). Some texts may include only long-term debt. Again, what you use will depend on what your question is. • In year 2008, the cash and cash equivalents and investment in share are 1.34% of total assets. Therefore, in this year UFIL financially is not so strong compare with current liabilities that is 91.44% of total assets. But compare with the preceding years (2007, 2006, 2005 and 2004), the cash and cash equivalents and investment in share was 15.67%, 10.74%, 17.58% and 29.47% of total assets. So, if we see over it, we can find out that the cash and cash equivalent and investment in share is more or less increased, except with year 2008. But the overall financial strength is not considerably increased. Because the current liabilities of those two earlier years were 91.44% in year 2008 and 88.74% in year 2004. It reveals that its financial strength is not so optimistic compare with its liabilities. • But, from the other angel, we see that the cash and cash equivalents has decreased in year 2008 that is 1.34% of total asset, which is really not well from the year 2004 (29.47% of total asset). And investment in shares also decrease in year 2008 (0.88% of total asset). So from this observation we can say that the company does not well from the previous year and attain some financial strength from the previous years. However, the total liabilities also increased by 91.44% of total asset as well. • The leased asset of UFIL is, in year 2008, 56.10% of total asset. But decreased from the year 2004, 2006 and increased in year 2005 & 2007. • Term finances of current maturity portion and net of current maturity in year 2008 are 25.12% and 28.36% of total assets. Term finance net of current maturity has increased over the year and year (from 2004, 2005 & 2006) but decrease over the year 2007. And the current maturity of term finance is more or less decreased compare with the year 2004 and 2008. But compare with the year 2004 & 2008 (22.96%, 27.66%, 23.43%, 16.88% & 28.36% it has increased. • Receivable from lessee in year 2008, is 5.56% of total asset, but previous years it was (2007 – 5.35%, 2006 – 5.10%, 2005 – 5.99%, 2004 – 6.84%). So the analysis say that receivable from lessee is so power comparing with the previous years. • The tendency of UFIL equity of total asset is in the direction of decreasing compare with the last four years to the year 2008. In year 2008 the total stockholder’s equity is 32.41% of total asset. But in the preceding years it was 30.39% in 2007, 31.88% in 2006, 23.33% in 2005, and 25.01% in 2004. • Current maturity of promissory notes is 43.84% of total asset in year 2008. Comparing with the former four years, the current maturity of promissory notes is more or less fluctuating. It is increased from 42.00%, comparing with 2005. But, the above table shows that, if we compare with the year 2004, 2006,& 2007 it decreased. • Its payable and accruals has been substantially decreased in year 2008 (4.35% of total asset.). But from the year 2004 to 2007, its payable and accruals has tendency to decrease. • Current maturity of loans, in year 2008, is 31.29% of total asset, which has increased from the year 2004 to 2007 (13.09%, 21.74%, 22.54% & 25.01% of total asset). • In proposed dividend portion, the analysis reveals that the company anticipated only 1.85% of total asset that is lesser than the preceding years. As we know that the growing company pays the less amount of dividend. So UFIL is a growing company. Therefore, they have planned to pay the low amount of dividend. • From the above analysis we can say that the company has some financial strength problem to meet the liabilities, but they are still competent to compete strongly with its rival, and very optimistic to survive in the leased market very well. It also notifies that UFIL is standstill in growing position. It is very obvious that the environment really have a significant importance to every one, whether it is about individual or about company. Environment means the every thing, every function that is performed around the organization. As all of we know that every organization have its own environment. UFIL has also its own environment, culture. But it has some organizational environment problems. Here, we imply the internal environment of UFIL of its working place, its organizational culture. UFIL is really very doing well company, but its working place of employees is not proper for working for 9 to 10 hours, because the space of the work place is not sufficient enough. The wok places are not modified, therefore, sometimes it creates too much complexity, even sometimes it creates BBA errassing situation for the employees, whether they are men or women. UFIL does not have any separate prayer room for the female employee and for the male employee and that is really very much disreputable. One thing is most important and that is UFIL does not have any personal washroom for the female employees, which is definitely dishonorable. These things give an indirect and sometimes direct unenthusiastic impact on the working desire, for the reason UFIL may loose some efficient, intelligent workers. Regarding the culture, UFIL cultural problem is not so acute, but the conflict is there. And it has an oblique downbeat impacted on the objectives of the company. We know that the culture is an amorphous concept that defies objectives measurement or observation. It is really very necessary to understand the importance of the organizational culture, because it is organization’s internal environment, and it plays a major role in shaping management behavior. But, there has some, not so extreme, miscommunication between the employees, cannot realize that what things UFIL considers important, how the company does things, and some other important things. External environmental problem of UFIL is its customers, its rivals and its strategic allies also. All of we know that customers (lessee) are the main element of UFIL because their lease rental is one of its major earnings. But, sometime customers do not pay their rentals at the due time, which obscure situation makes the total leasing process disorderly. UFIL rivals, at the percent time, are now become its strategic allies that is the syndication facilities. But, still they are its competitors. Nevertheless, UFIL does not have so much undeviating problems from them. At the inception most of the work of UFIL is done manually that is most of its business was paper based, which is very much time consuming. Therefore, the company could not make possible all of its objectives. But, at current time, UFIL makes its entire business computer based, in order that all the activities or business can be run as much as sooner. Since the existing technology of UFIL is not developed, they still have some kind of, but extreme, problems. UFIL try to carry out all of its information, data, or accounts on an advanced computer technology. But the work is still not so satisfactory. As a result, there has a possibility of misplaced of the information, or data, or important documents. At this instant, in UFIL, all the documents of leasing is done trough basic way. Therefore, the transferring of information, or relevant data, or document from one department to another is done in an efficient way. Actually, currently, the entire work is not done in a systematic or organized way. UFIL have some sort of training program for its employees, but the planning is not so bright. UFIL does not have some specific work for interns, which is really a major problem for the interns and for the company as well. Because internees are comes here to learn some thing. So if UFIL cannot able to give them some work, it will be harsh for its reputation. Therefore, it may loose some appropriate, intelligent, and efficient worker. UFIL have some predicament regarding the human resource planning. In present time, I found that it recruits a person in an operation development whose academic is not fit for this job, and the person every does not know how to operate the basic program of the computer. But, UFIL recruits the person for the very responsible position. So, it is really obvious that it have some HRM planning problems. Most of the data has done by the descriptive analysis. It has done by the transformation of raw data into a form that will make them easy to understand and interpret; rearranging, ordering, manipulating data to provide descriptive information. i. First of all UFIL should wide up the space of working place of the employees and renovate it as much as organized and definitely as much as better than the current situation. ii. The working place should be modified. Here, we refers that UFIL can modernize each of its department. UFIL may décor each of the departments as much as comfortable. Therefore, it cans décor the office by equipping a little bit higher fortifications for each of the employees working place. For this reason, employees can work comfortably, and the whole environment of the office should be looked like as much as posh and as much as enthusiastic. Thus, the overall looks encourage the employee’s attitudes towards the work and responsibilities. iii. UFIL should separate its monitoring department from the operation department; therefore, it does not haphazard the work of these two developments. And thus, UFIL service quality also increases as well. Therefore, UFIL can monitor the rental payment very well, and can control the customer as well. iv. UFIL must build a separate prayer rooms for the female and male employees, which is the right of the employees. And UFIL should protect the right of the employees. v. UFIL must provide a personal washroom for the female employees, which is really very much necessary and sophisticated matters. UFIL should take care of this matter as much as faster. vi. UFIL must fix the gaze on its organizational culture, which is the most important element of the foundation of the environment. UFIL should take some major plans so that employees can understand and realize the culture of the company. Thus, they cane recognize the way UFIL stands for, how UFIL does it things, and what UFIL considers important, which very crucial to the UFIL. vii. UFIL must improve its technology to compete with computerized would. Thus, UFIL need to use highly advanced software. First of all, UFIL should make all of its work in technically. All of its information, data, and documents should be stored in a highly advanced computer. So, the work can be done as much as faster and systematic way. viii. UFIL must reorganize its HRM planning. As all of we know that UFIL is now undertaking a program to computerized all its business and financial activities. Consequently, they should not recruit these people who do not know the basic things of computer. Because if they do so, they need to train them first that is really very time consuming and so that UFIL does not have the right person as they went. ix. UFIL must recruit the right person for the right job. They do not follow this statement, which are the most important things. So, UFIL should develop the attracting Human Resource Planning for the right, and qualified person. x. UFIL must provide its own training and development program to its employees. Thus, it can have highly efficient and qualified employees. Though it has the training program, but the system is not so organized. So they should give the eye on it. This is really very much important for UFIL. xi. UFIL should take care of the interns. There have some special and specific work for internee. And definitely, UFIL should have the ability to provide the internee the basic things for instance, the working place. It is really very much uncomfortable and discouraging for the officer and internee, if the officer needs to share his/her working place with internee. It will hamper the work of the officer, which is really so important for the company, for the officer, and for the internee as well. So, UFIL should take some planning program for the interns. The above suggestions can help the company to work out its basic element problems. If UFIL take those initiatives, they can improve more and can increase their goodwill as well. Process and execute more contracts. And this thing also helps the UFIL for high competition. percentage of operational revenue. That may be effect on its funding ability. So, they redeveloped its utilization of total income, which can help to solve this sort of problems. iii. Through UFIL is highly leveraged firm, they should not so much worried about it. Because UFIL is now a growing firm. iv. But UFIL should take a look on its “return on equity”, which is lower than the previous year. Thus, the stockholder’s equity also lowers than the preceding year as well. That thing may effect on their internal fund. So, in order to increase the ROE, the company needs to increase its net income. These are the major suggestions for recouping the operational problems of UFIL. So, UFIL should take a looking forward these sorts of problems like basic organizational elements problems, because these problems are really important. They should take care of these. UFIL should try to solve its operational and financing problems as much as faster and as much as earlier as possible. At a present time, UFIL is one of the growing company and profitable company in the market. Uttara Finance and Investments Limited is one of the leading among the leasing companies in Bangladesh. It is really very much honorable to me to do my internship here. I have learned so many things here, especially, the official work, which will help me a lot in my professional life. I have learned about the leasing matters practically, and other things as well. UFIL has so many talented employees. Thus its success is obvious. And in present time, UFIL really does very well. Though they have some problems in their work, but now UFIL try to solve these problems as well to improve the company internal environment. Therefore, UFIL accomplished the computerized program by which UFIL does all of its business and financial activities. Therefore UFIL can be able to do their company affairs as much faster and as much as accurate. Nowadays, UFIL is one of the top leasing companies in leasing market of Bangladesh. UFIL main target is to improve the economy of Bangladesh. Therefore, UFIL take so many initiatives to help the economy of Bangladesh. Its organizational target is to be profitable company of Bangladesh. Now, they have achieved their target very confidently. It is obvious that UFIL. Company has bright, optimistic and glorious future in leasing market.